In a recent workshop with a senior leadership team, the highest priority topic of the day wasn't strategy, or competition or finances. It was death and injury. 'How did that happen?' asked the leaders when it was reported that one of the team had been killed and another injured at work. The stark reality is that safety is the most important thing in the workplace. 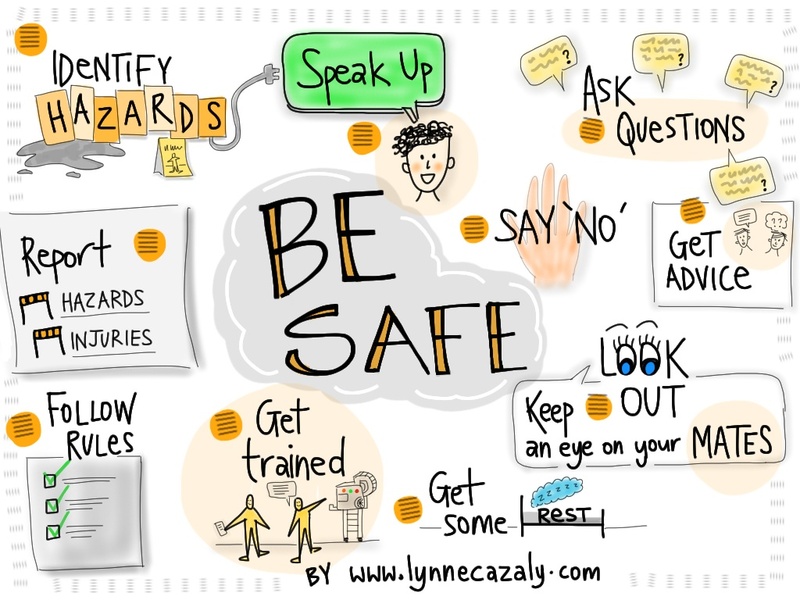 After discussion of key points from the day and identifying actions for leaders of all levels to implement, the visual I share with you this week is a reminder that none of us can take safety lightly. In your own environment, and with your own team, family and community… please, be safe. Do you do the things successful people do? 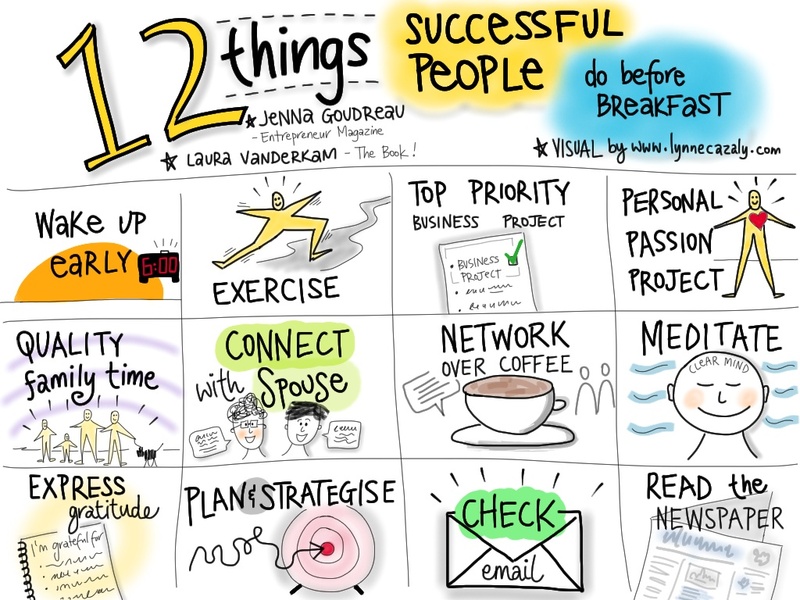 Of the many lists and hints on how to be successful, the 12 things successful people do before breakfast by Jenna Gourdreau in Entrepreneur magazine was … quite tasty! Who could remember the written list after reading it? The picture I sketched and doodled helps me recall the tips with greater ease… certainly in the early hours of the morning! As always, visuals do a lot of the heavy lifting for you when there's detail or complexity at play. Pictures help people hear each other… when they're not listening. Visuals help people digest smaller pieces of information and make for a more engaging piece of communication than a spreadsheet, data pack or dump of information. How can you help the people you're working with at the moment to digest some of your important information more easily? I try and read the book Stop Thinking Start Living at some stage of each year. It's a classic and a quick read and is a brilliant reminder to get outta your head and into yer life! I might read it on a plane, while I'm staying in a hotel while away for work or simply pick it up and read a few chunks when I need it, or even when I don't! When things get a bit much or you find yourself deep in your thoughts... too deep... this one can work so well. The first time I read it, I wrote up this page of dot points on a piece of bright pink fluro paper. This page is a little faded now, but it is my list of reminders on a pinboard in my office to help me lead my own thinking better. 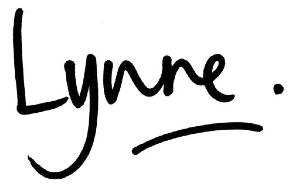 It's my shortcut to the book, my key messages or my list of 'must try and dos'. While the dot point list has sentimental value, I find it challenging to recall any more than one or two from the list - no matter how many times I've read it. So this visual I created this afternoon will give my mind all the visual anchors it needs to recall the detail and retain the essence of my 'takeaways' of the book - so much better than the list. It's my end of year wish to you that you too can stop thinking and start living - particularly at this time of year when families are together... or not, and friends are there for you... or not. You are always there for you. So get on and live rather than thinking about living.